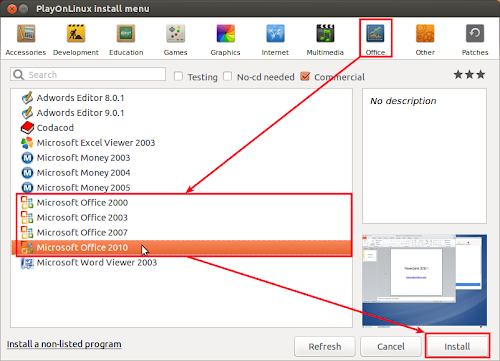 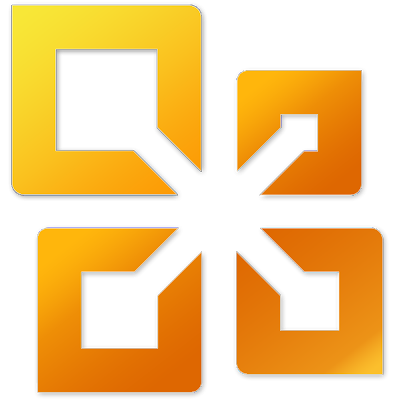 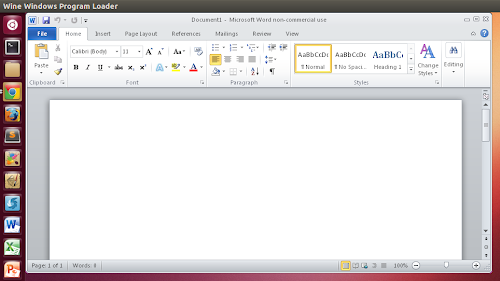 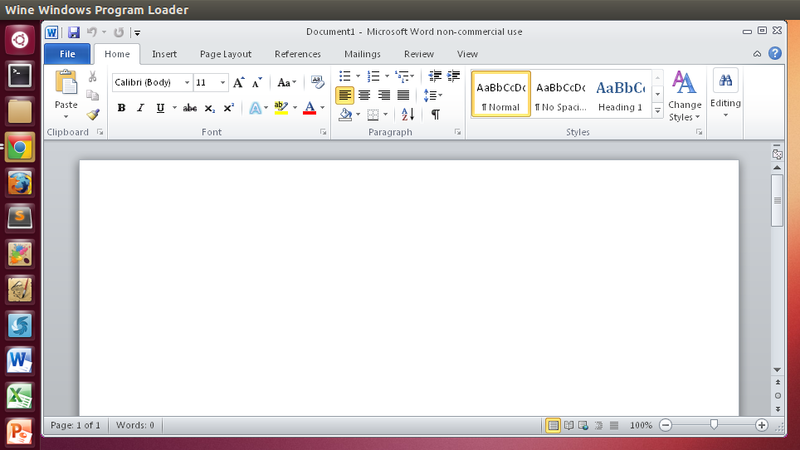 If you are using Ubuntu and need to use Microsoft Office either for compatibility reasons or out of preference this guide will show you how to install it. 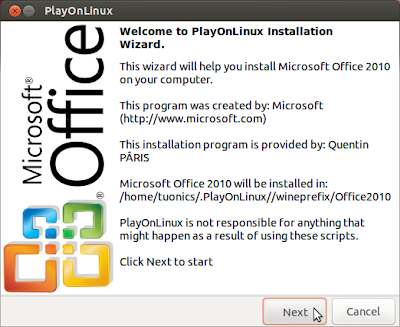 PlayOnLinux is a useful piece of software based on Wine which allows you to easily install many Windows applications with relative ease. PlayOnLiux is free and does not require a Windows licence for use. 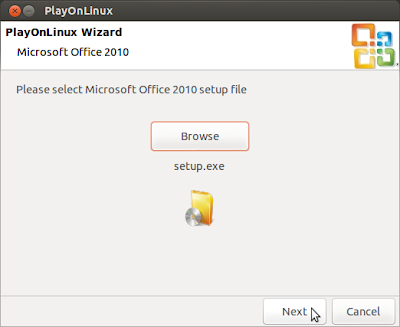 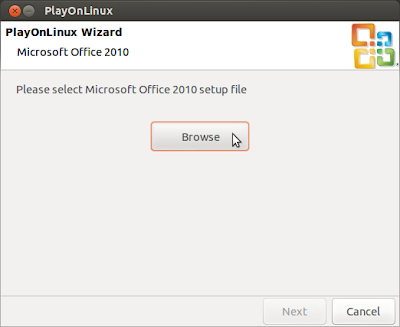 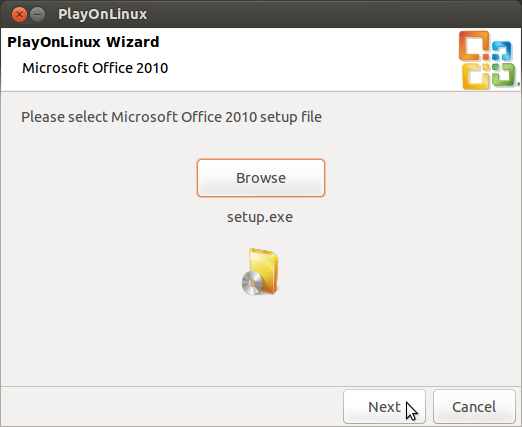 Click the button below to download the PlayOnLinux .deb file. 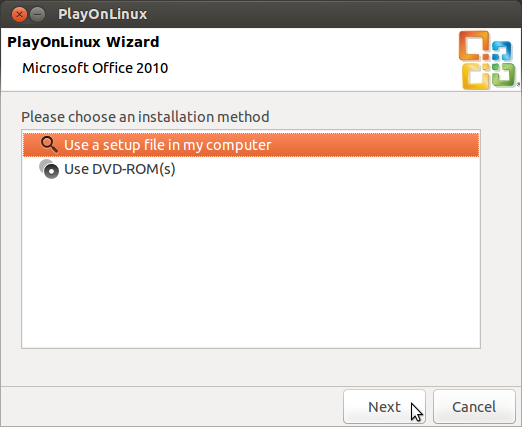 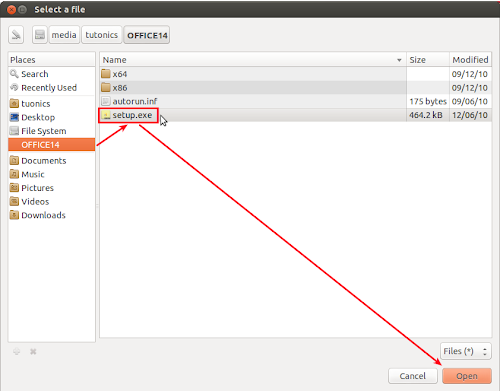 Locate the PlayOnLinux .deb file in your downloads folder, double click the file to open it in Ubuntu Software Centre, then click the 'Install' button. 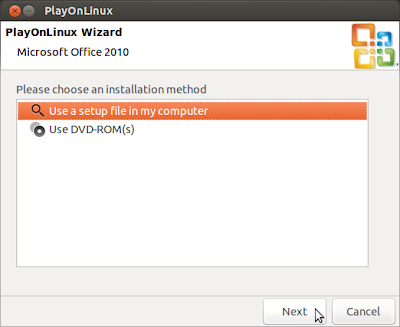 Simply insert the disc in to your disc drive. 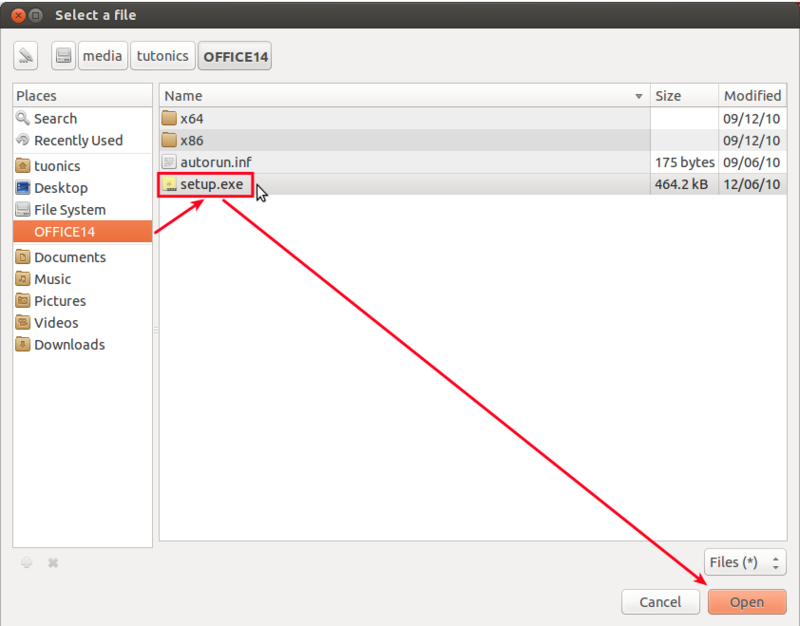 Locate your ISO, 'Right click' the ISO and select 'Open with' then 'Disk Image Mounter'. 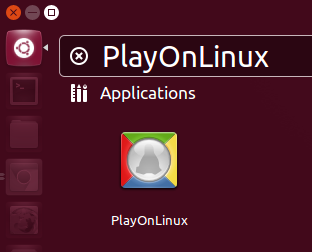 Once the install is complete you can open the office applications either by clicking on the icons on your desktop or through opening PlayOnLinux.